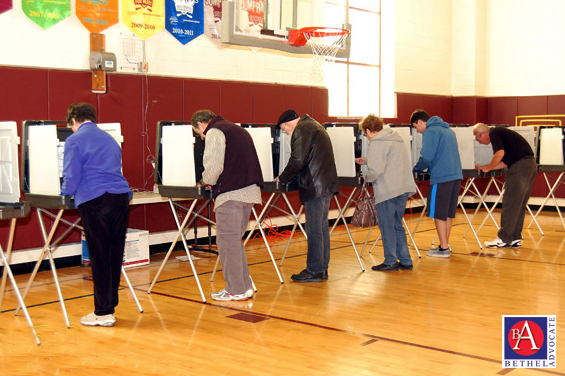 This year there was the Accessible Voting System (AVS) available at all polling places for today’s referendum vote. The system consists of a touch screen tablet, a printer, headphones and a keypad. 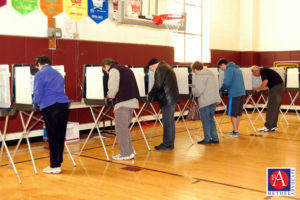 Those with sight impairment can use the headphones to hear the ballot questions and then use the keypad to select responses. 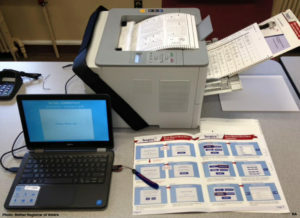 The printer marks the ballot for the voter, who then inserts the ballot into the tabulator. Those who have good eyesight, but may have difficulty filling in the ovals on the ballot, can use the touch screen to select responses to the referendum questions. The printer marks the ballot for the voter. If you would like to use the AVS balloting system, you can ask the Moderator to assist you.